It is cool in the car, but our senses are wide awake – lots of adrenaline pumping as the car goes faster than it ever has. Eyes are intensely scanning the road ahead for any pothole or any vehicle/human on either side of the road. But nothing comes into view as the occasional mile marker flashes by, counting down the numbers. The road is not perfectly straight, but you don’t care because there are no abrupt turns – you don’t have to go below 120 kmph anywhere. What they say about Gujarat’s roads is mostly true then – right from the point you cross over from Maharashtra to Gujarat on the NH8, you can’t find much of a fault in the roads there. The Maharashtra part of NH8 finishes just before Vapi. Vapi being an industrial town, is the only part of NH8 where traffic slows down significantly as the road gets filled with heavy commercial trucks. For about 20 min, the going gets quite slow – till we passed Vapi. After Vapi, the road turned even better as it continued to be a wide 6 lane road, but traffic became lesser. While on this stretch, we noticed that there were too many white cars on the road. And if not white, they’d be light grey or silver in colour. So much so, that a brightly coloured car would pass by only once in 15-20 min. And we’d actually cheer it, esp if it had Gujarat plates 🙂 The second thing we noticed was the number of tolls on the road. Between Mumbai and Ahmedabad, I think we paid tolls at about 11-12 toll booths and they totalled to about Rs 600 in tolls. For a 530km trip! However, the low fuel warning sign brought us back to ground – the DTE (distance to empty) readout said 50km. 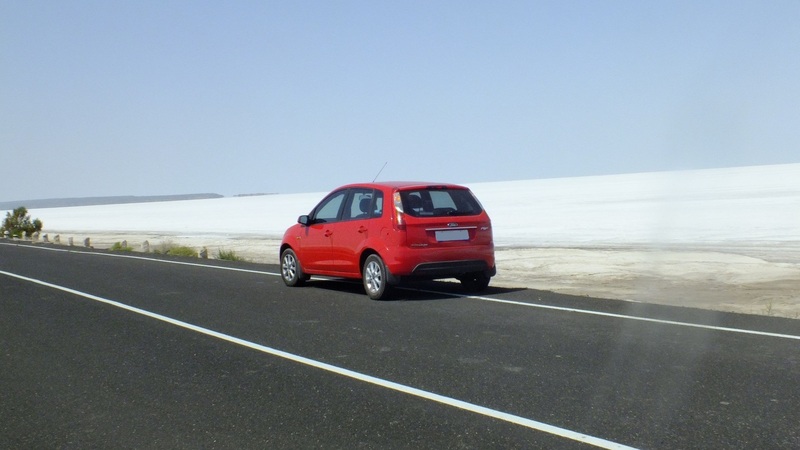 We slowed down to 80 kmph, but the road was so smooth that we would inch up to 100 kmph without us knowing it – and cars were flashing by on our right at what would look like 150kmph at least. With our eyes glued for any signs which said petrol, we stuck to the slow lane at 100 kmph as the DTE kept counting down – and our tension kept going up. At one point, we even called the emergency services advertised on the expressway to ask if there was any petrol pump on the expressway. The operator assured us there was one. Finally, after half an hour of heightened anxiety and blood pressure – and with just 2 km showing on the DTE, we spotted the petrol pump and drove in. Had another mini heart attack when we saw that it was a Reliance Petrol outlet and there was not a single car (or person) to be seen around. But we honked and thankfully a uniformed employee came out and filled up the car. With relief written all over our faces, we grabbed a bite at the eatery next door. It was very average highway fare. It was going to be the first of our many gujarati meals to come. From that petrol pump, Ahmedabad was just 25 km away and with the help of good old Google Maps, we were at the Ginger hotel by 3pm. We freshened up and headed to Vastrapur lake to try out Ahmedabadi street food. Maybe we didn’t go to the best vendors, but the street food didn’t stand out as such. What we did notice, quite surprisingly, was the proliferation of egg in streetfood. Ahmedabad looks like a city in love with egg bhurji, rolls and other egg delicacies! Every alternate streetfood shop was a “andawalla” and even while driving around the city, we caught the telltale smell of eggs being fried. 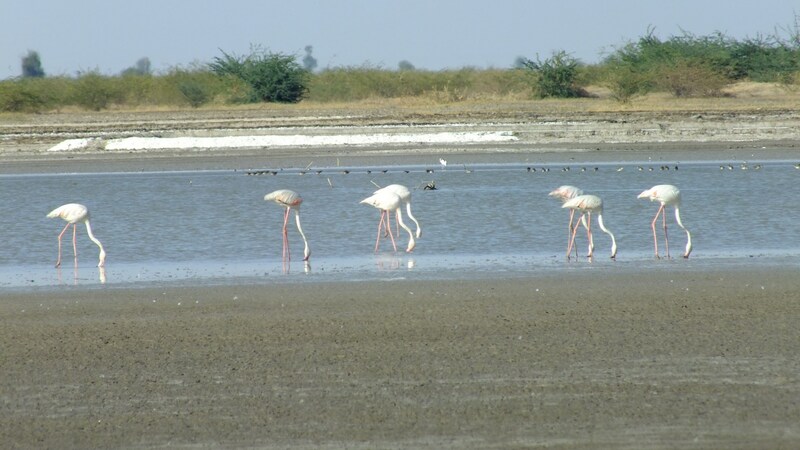 However, during the winter months, the Rann – more specifically, the Little Rann – of Kutch attracts a host of migratory birds because of the shallow standing water abundant in the area. The most well known of these birds are the pink flamingoes – big birds of a delicate pink color, standing in shallow water on their thin long legs. Equally handsome, but not as exotic is the Indian crane – similar in size to the flamingoes but black in color. The flamingoes were standing in shallow water – whole herd of them – with their heads under the water, feeding for fish or crustaceans. But around the water the land was marshy and the Jeep couldn’t go there. So we had to satisfy ourselves with some long range shots of these magnificent birds. We also spotted lots of other birds – sand grouse, black drongo, green drongo, ducks – some migratory and some local. Next stop was the khur. The driver took us to another location, which again had some shrubs, near the edge of the Rann. There, after searching for a while among the bushes, a solitary male came out for a look-see. The shy creatures do not like human company yet – they observe from a distance, backing away if you make any movement towards them. We again took some long range shots and moved on to a nilgai we spotted. The nilgai obliged us by moving next to the khur, giving us the shot below. After unsuccessfully looking for any desert foxes, we turned our attention back to birds. The driver said he knew where a herd of owls was nesting and whether we would be interested. Our answer was “sure”. 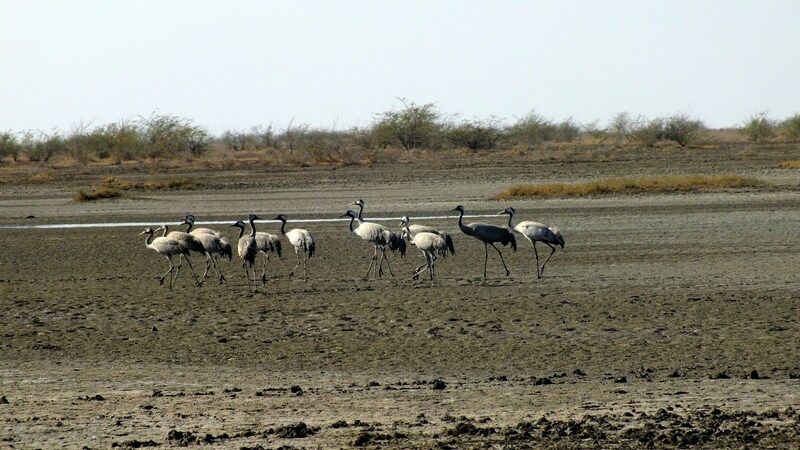 So off we went across the Rann, crossing a big portion of it before arriving at another bunch of shrubs, where resting under the stunted trees were a group of owls. And there were a lot of them. We had a good time spotting owls in each tree. But it was getting dark and we wanted to see the sun go down on the Rann, so we headed back towards where we came from, watching the sun go down standing in the middle of nowhere. About 10km after the Malia bridge, at Samkhiyali, we turned right from the Bhuj highway and turned towards Chitrod. The road continued to be nice 4-lane, with even lesser traffic, although the landscape was a little undulating. 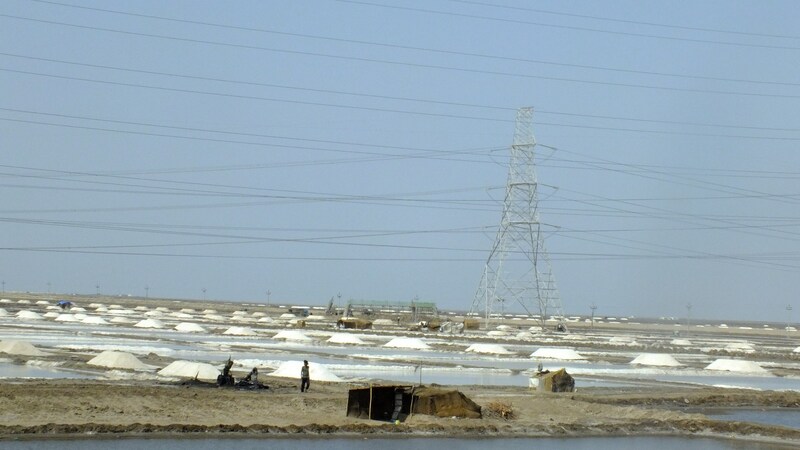 At Chitrod, we left the NH and turned towards Rapar (and Dholavira). There are enough road signs pointing the way. The road became a 2-lane road – which was not a bad thing – we were still doing 120 on most stretches – except the villages, where they invariably had a speedbreaker. 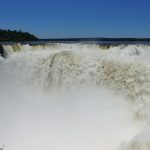 After about an hour of this, we came to the sight which stunned us comepletely – and will probably remember forever. The island of Khadir Bet is connected to the Gujarat mainland by a shallow road bridge. It’s not actually a bridge even – it’s just a raised road, couple of feet off the ground – with pipes at regular intervals to allow the water to flow. 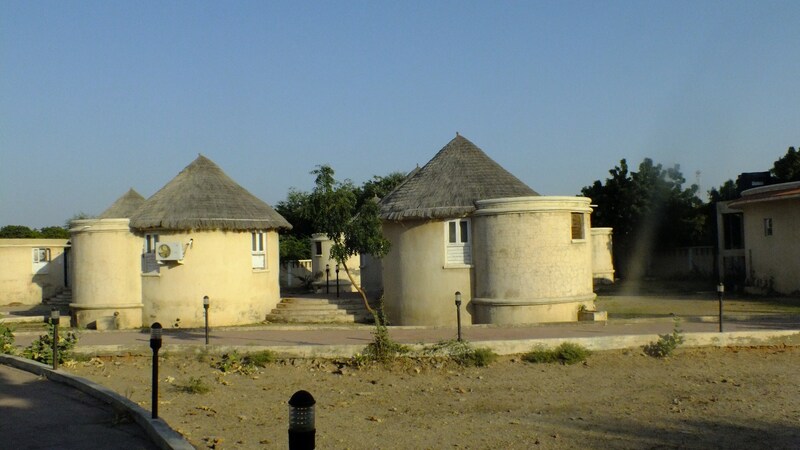 It crosses what is called the Rann of Kutch Lake. 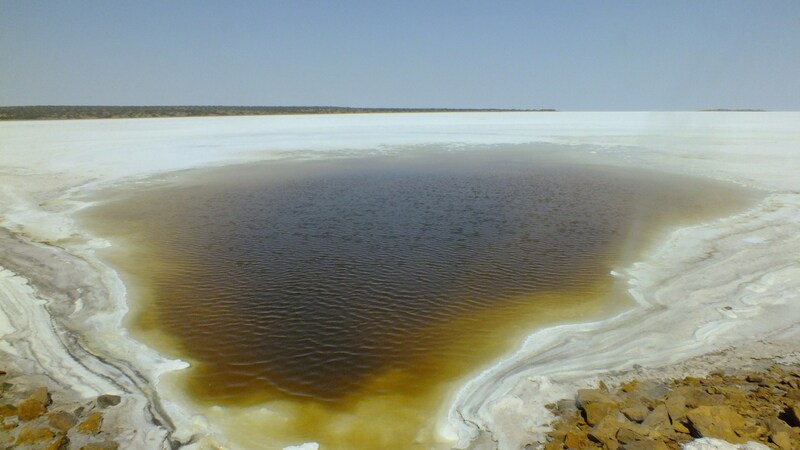 A very shallow lake which barely gets submerged during the monsoons, and then remains dry for the rest of the year, leaving the ground covered with white salt crystals. 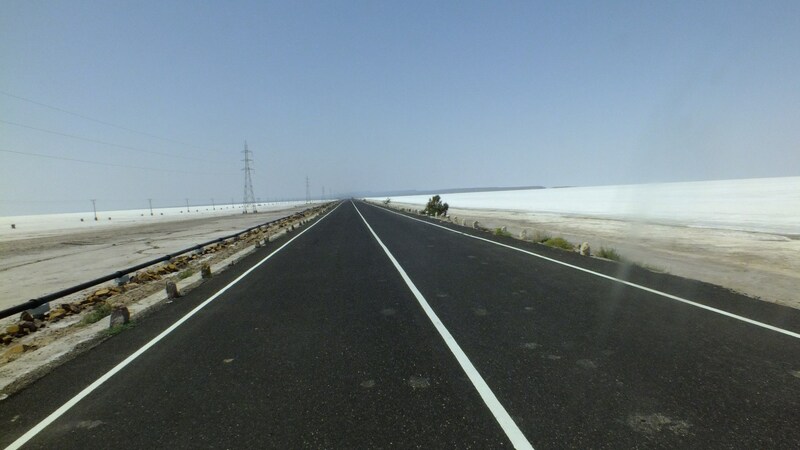 A straight black road cutting through a white ground – for 6 km. It felt as heavenly as it looks – and we just couldn’t soak it in with our eyes! So we parked the car, and got down to take photos. One side of the road has power lines accompanying the road, so to avoid that side, we parked on the wrong side of the road. 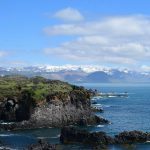 We experimented with photos, marvelled at the vastness of the white plain, sat down on the salt before quickly getting up – the ground under the salt was still wet and soggy. Stand at one place for a while and you sink in an inch into the ground. At some places, seawater gets left behind in some puddles, and the concentrated salts gave it vivid colours. We spent 30 min parked on the bridge, and not a single vehicle crossed us while we were there! Finally we got back into the car and in high spirits, continued towards Dholavira. After checking in – and finding we were the only people in the resort (though more were expected in the evening), we decided we should have lunch and then explore the site at around 4pm so that the sun would be a little weaker. Lunch was the same Gujarati fare, but it was still very yummy – and we polished it off. The room itself was round shaped, but very spacious. The split AC was fully functional and the bathroom was clean. A lot of negative things have been written about this particular Torana resort on the internet. It wasn’t luxurious for sure – but it was neat and clean. 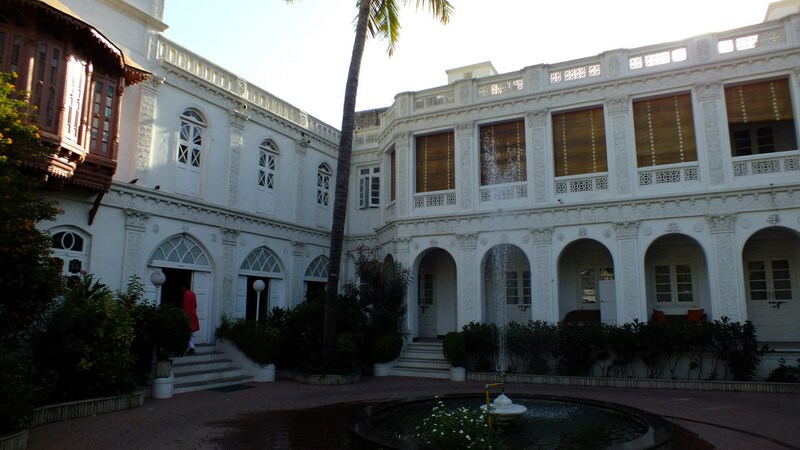 And for Rs 1,000 a night with the AC, we couldn’t see what was wrong with the place. It was better than many other govt resorts. So what’s the big deal then? 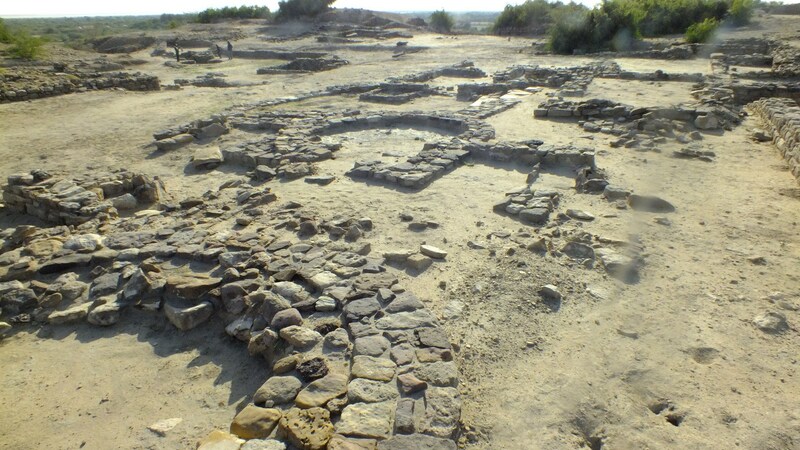 Well, Dholavira was built and settled 4,500 years ago – and it was inhabited till 1000 BC, after which it was abandoned. The waterchannels and drainage they built then it still immaculate today. Doesn’t it look like water will come pouring out of the channel below and someone can have a nice shower? 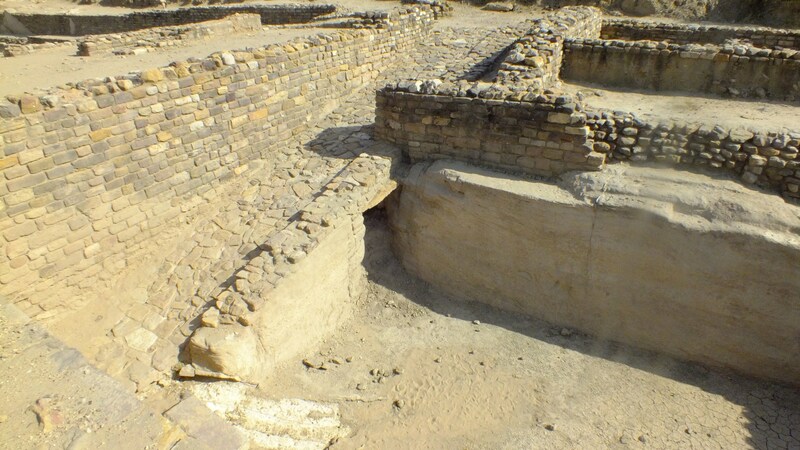 According to our guide, only 20% of Dholavira has been dug up. 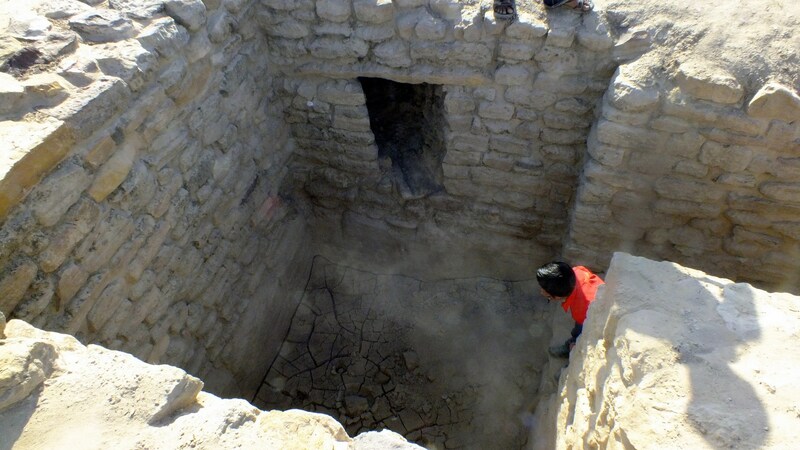 Archaeologists fear uncovering more of the site without protection being set up – something that requires a lot of money. And as our astute guide put it, in a poor country like India, money needs to be spent on the living, rather than long-dead people. 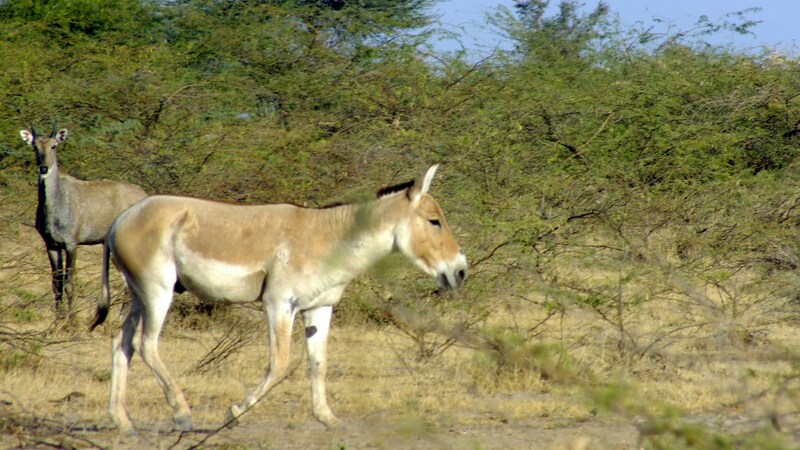 Until that changes, Dholavira will remain partially hidden. The slight plus point of that is – everywhere on the site, if you have a keen eye, you can find small pottery shards lying on the ground. 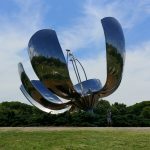 You can pick it up and touch it – and feel a small tiny connection with some ancestor of ours, who made it 4000 years ago. After early breakfast, we were back on the road. The plan was to take a different route back to Ahmedabad – the SH 52 from Balasar to Radhanpur and then onto Mehsana. Google maps showed that the SH 52 went over the Rann and we were very excited to have a second run over the great Rann. After driving for an hour, the road continued to be the broken single lane road – without much traffic. After a while, even that road finished and a dirt track continued. We drove on, thinking it might be an under-construction road. 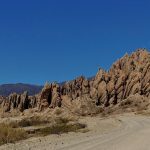 However, when the dirt track turned increasingly wild, we conferred with the locals – who were giving us incredulous looks – a red hatchback bucking around in the wilderness. 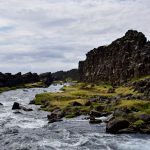 After some language issues, someone confirmed that while the road exists, its for 4 wheel drive jeeps only – not for small cars. 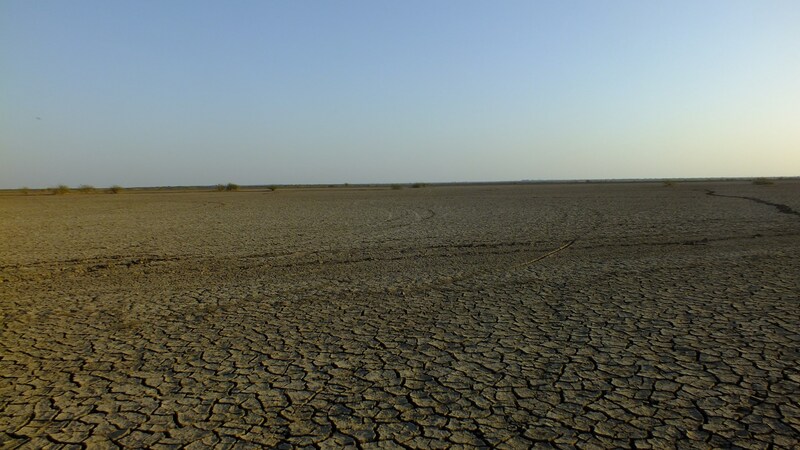 And the dirt track continued like that over the Rann. We decided we didn’t want to risk driving on a dirt track over the actual Rann in a front wheel drive hatchback and turned around. Locals guided us on b-roads back to Adesar on NH15. Meanwhile our petrol, which was more than half used up on the drive to Dholavira yesterday, was fast falling towards zero and for the second time in 3 days, we were looking out on petrol pumps, which just weren’t there in this thinly populated part of the world. Finally when we joined NH15, we drove into the first pump, only to be told they sold only diesel. With an incredulous look on our faces, we drove on, the DTE showing less than 40 km. A second pump, again the same – diesel only. Finally a third pump – Essar Oil – had petrol – and DTE was showing 20km! With a resolve not to let fuel drop below half for the rest of the trip, we headed for our first actual destination – Modhera. Modhera is the site of a temple dedicated to the Sun God. While the world-famous sun temple at Konark is known for its depiction of the temply as a chariot, Modhera’s claim to fame is its Suraj kund. 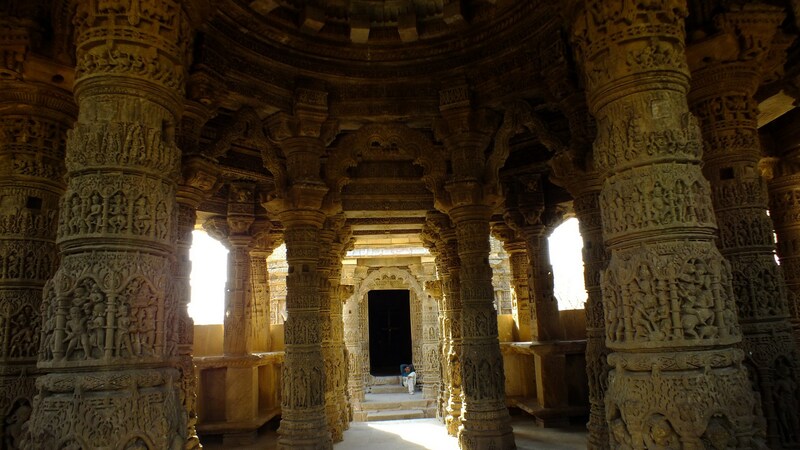 Just 50km from Modhera is the town of Patan. 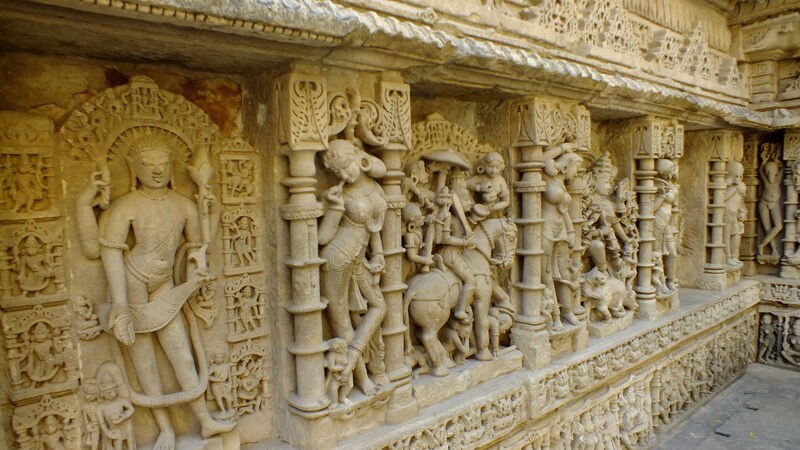 The town is known more for its Patola sarees, but the thing we wanted to see was the Rani ki Vav – translated, a queen’s stepwell. 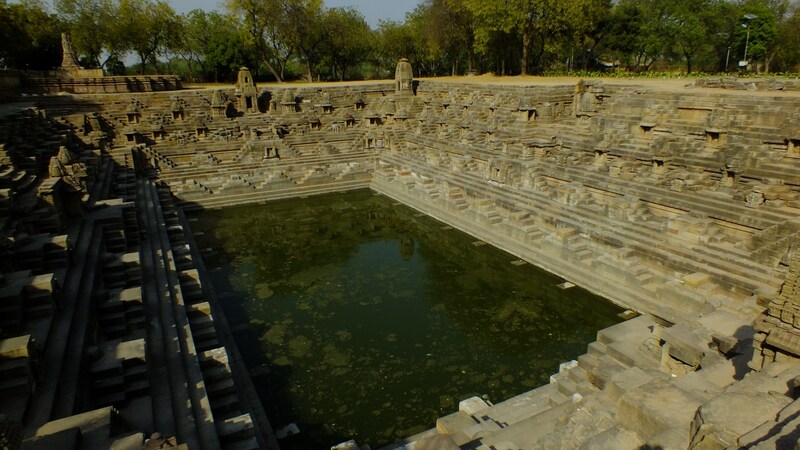 A stepwell, which as the name implies, is a well with a staircase going down all the way to the waterlevel. A Queen’s stepwell should be quite magnificent – and this one lives up to its name. The well is atleast 9 storeys deep. 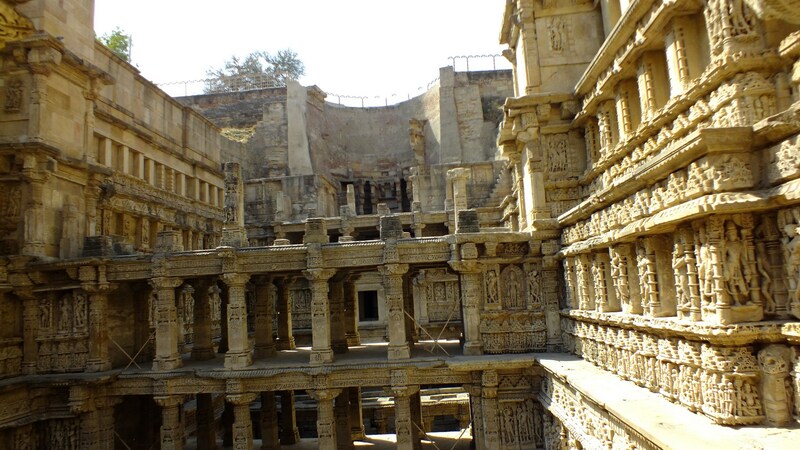 The stairway, at each level, has pillared multistorey pavilions, for royal ladies to hang out in the cool well. 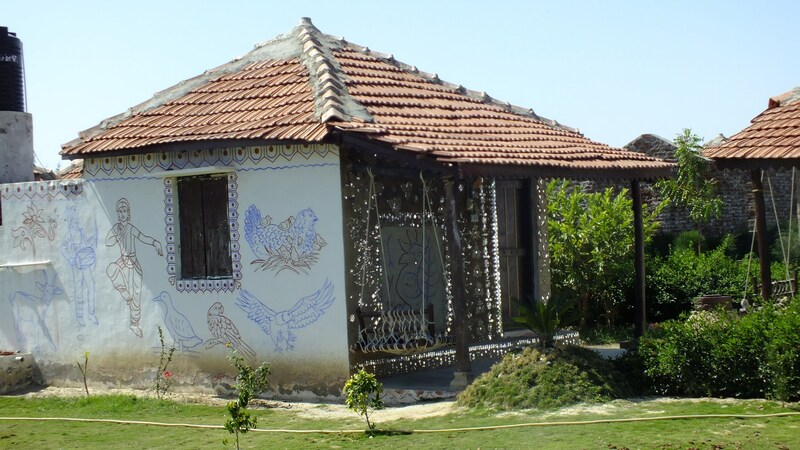 All the sides of the pavilions and the staircase walls are lined with exquisite carvings, mostly from Vishnupuran.